Did you know that according to Pew Research Center’s data, teenagers average 3,339 messages a month. 5 seconds is the minimal amount of attention that a driver who texts takes away from the road. If traveling at 55 mph, this equals driving the length of a football field without looking at the road. Scary stats! Because texting can makes a crash 23 times more likely to occur we have partnered with @TeenLifeMedia to help teens understand the dangers of texting and driving. Joining us for a twitter chat with Adam Garner @Garntastic, the National Center for Fathering @NCF4Dads, the Ad Council @AdCouncil, @DoSomething and @MommyBlogExpert. 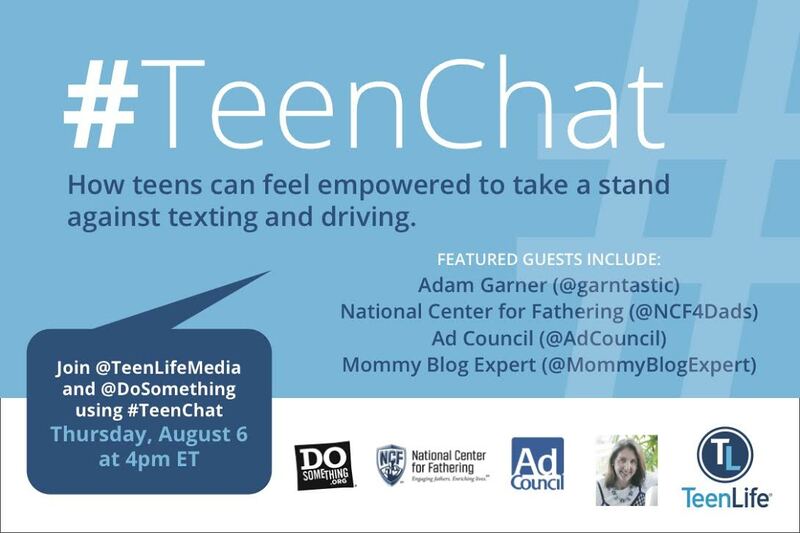 There's no need to RSVP just follow us at @BluebirdPatch and follow the #TeenChat hashtag on August 6 at 4pm.